Working parents, picture the scene. You are at a job interview for a great new role. The company tells you the role is yours! But hold on, you won’t actually be put on the company’s payroll, and instead they will just pay you cash. You won’t have a contract either. You’d be, understandably, outraged. What reputable company would allow this? And yet, when the boot is on the other foot and families hire nannies to work for them, it is surprising how many nannies I have met who have not been employed legitimately. Either being contracted for fewer hours than they actually work and “topped up” with cash, or not having the service contract in place for when they begin and then it never actually gets sorted out. Some families try to ask their nanny to be self employed, but in fact the rules on self employment from HMRC are strict and in most cases nannies are NOT considered self employed. 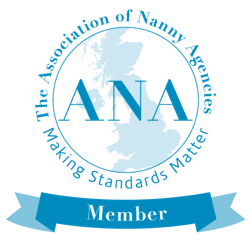 It is an unfortunate fact that employing a nanny is expensive for families, and made more so by the requirement to pay all of your nanny’s tax as an employer (this includes income tax, employee and employer national insurance). On top, they are entitled to paid holiday, statutory sick pay and from 2016 a pension. However, it is important to ensure this is done right. For a start, it is ILLEGAL to employ a nanny without paying their tax. For the nanny, not having an employment history makes it very difficult for them to get a credit score. It is very unfair of families to put their nannies in this position. However, a service contract not only protects the nanny, but also the family. The contract will set down what both parties can expect from the other. What hours are expected, what duties have been agreed. It ensures that there is a notice period (usually 4 weeks) which ensures that in the event of either party giving notice on the role, that there is sufficient time to make alternative arrangements. And, in the hopefully unlikely event of anything going wrong while your nanny is on duty, a service contract ensures that both parties understand the appropriate disciplinary procedures. So, both families and nannies, please insist this is done right. It is important for you both!